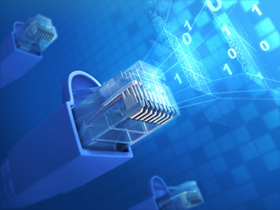 The IT & Telecommunications is a field that is rapidly expanding and changing. It’s only natural then that there is a unique culture, language and terminology surrounding them. This is why we only use translators working into their native language and with expertise in IT & telecommunications. This deep understanding of not only the language, but the field as well reflects in their work with unmistakable clarity and impact. Combined with our ISO 9001:2008 certification you can trust our quality management systems will deliver you a product up to your own standards. You will experience consistently high standards in every interaction with us. We have worked on a wide array of projects from clients of every shape and size from around the globe, including some of the world’s major names in telecoms. Our technical team is also capable to deliver translations that are ready to go in any file type and any platform. You can trust that no matter what your project requires, we will be able to rise to the occasion and deliver superb results. We also understand that the way we serve our clients is just as crucial as the finished product. That is why we use dedicated account managers to act as a single point of contact and deliver projects quickly and smoothly at every stage of their evolution. Add the fact that we are also incredibly flexible and can translate any major world language and work with source materials in any media or software program, it’s easy to see how we’ve earned our reputation.